At WWDC on June 7? Apple is rumoured to be launching a cloud-based iTunes music streaming service at next month's Worldwide Developer Conference in San Francisco. And while Cupertino remains resolutely schtum on the rumour, as is usually the case, the NME points towards the timing of Apple's closure of Lala on May 31, which happens to be one week before Apple's June 7 WWDC event, as evidence that something is brewing on the iTunes front for next month's event in San Fran. Of course, right now, this is little more than unfounded speculation, although the rumours of a forthcoming cloud-based iTunes service have been gaining ground for some time, with the PR successes of services such as Spotify and We7 clearly pointing the way forward for the digital music industry. Might Apple, that 'elephant in the corner of the room' in terms of digital music distribution, learn from those cloud-based offerings and figure out a way to convince its customers to purchase web-connected iPod touches and iPhones to access cloud-based music libraries in the same move? 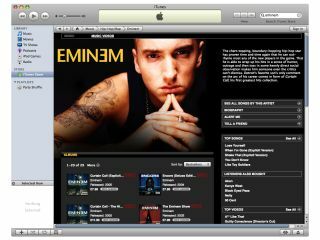 Put like that, it seems likely that a cloud-based iTunes offering is coming soon. Whether or not it will be announced at WWDC in June or later this year in September is the real question.